India at 103 rank on Global Human Capital Index; Norway on top. India has been placed at a low 103 rank, the lowest among BRICS economies,on the WEF's Global Human Capital Index, which has been topped by Norway. Among the South Asian countries also, India was ranked lower than Sri Lanka and Nepal, although higher than neighboring Bangladesh and Pakistan. 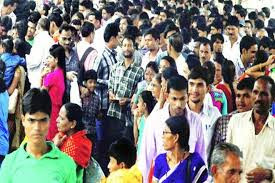 "India is held back by a number of factors, including low educational attainment (primary education attainment among 25 -54 year old is 110th for example) and low deployment of its human capital, meaning the skills available are not getting put to good use", WEF said. Giving examples, WEF said India ranks 118 for labor force participation among the key 35-54 year old demographic, suggesting far too many Indians are engaged in informal or substituent employment. "However there is a modern India rising. When it comes to development of skills needed for the future, the country fares strongly, ranking 65 out of 130," it said adding the country also performed well in the know-how parameter that measures the use of specialized skills at work. The report measures 130 countries against four key areas of human capital development; Capacity (determined by past investment in formal education), Deployment (accumulation of skills through work), Development (continued ups-killing and res-killing of existing workers) and Know-how (specialized skills-use at work). Schwab further noted that "we need a new mind-set and a true revolution to adapt our educational systems to the education needed for the future work force.